We decided to have a little fun today and share a twist to one of our favorite foods, Pizza. 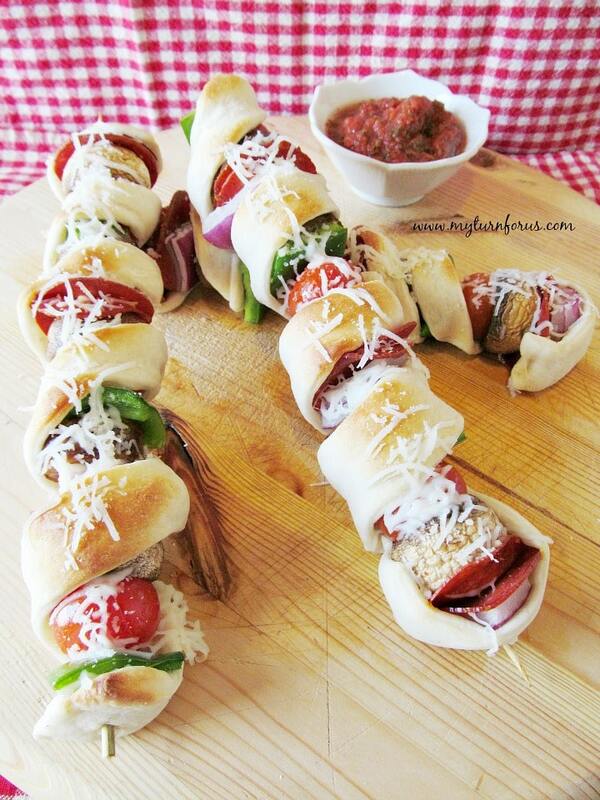 We love pizza and we love eating shish kabobs so why not have a Pizza Kabob? 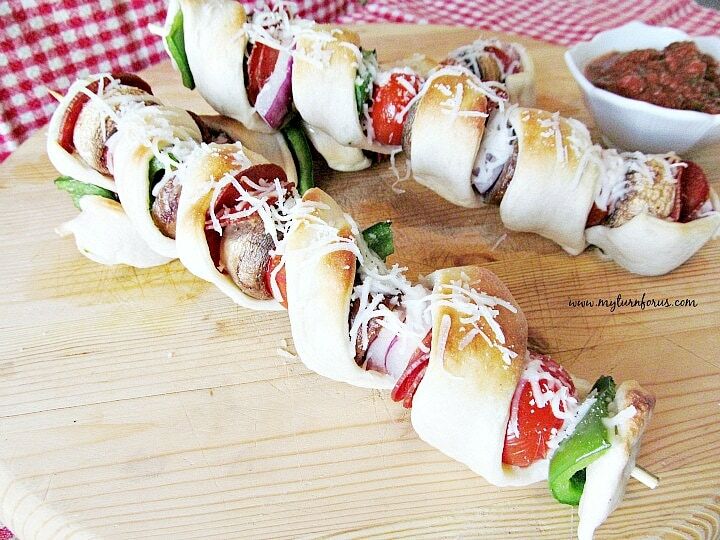 Shish Kabobs are loaded with meat and veggies so it shouldn’t be much of a stretch to have a Pizza Kabob, should it? Pizza comes in so many flavors or should I say toppings? I love all things pizza and have never met a pizza I didn’t like and if I had to choose one food to eat for the rest of my life, I would definitely choose pizza. When our kids were little, we would throw huge pizza parties. 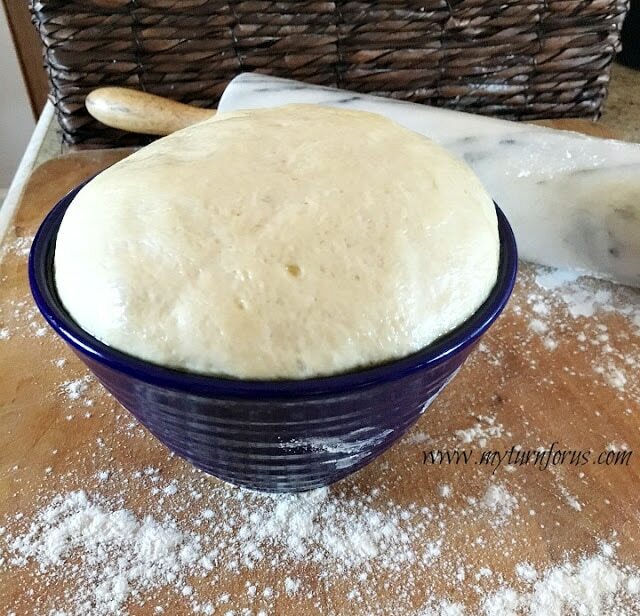 The hubby and I would be in the kitchen throwing out rounds of pizza dough and the guests would add their favorite ingredients and everyone had an individual pizza by the time we were done. It was always loads of fun and everyone had a personalized pizza and we had help in the kitchen. A Pizza Kabob could be prepared the same way, bowls of ingredients could be placed out and everyone threads their own skewer(s). Then they or we could help them wrap the pizza dough around the skewer. 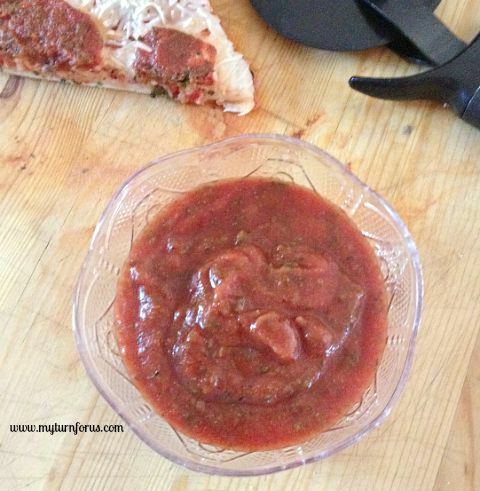 After baking, serve with bowls of pizza sauce for dipping. 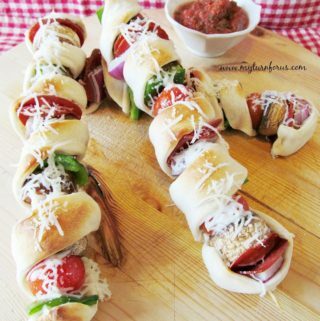 So the next party you throw or just wish to entertain the children for the evening, try this fun Pizza Kabob recipe. We have our eyes on Countertop Pizza Oven, They work very well and don’t heat up your kitchen. If you make pizzas as much as we do, you might wish to purchase an outdoor Pizza Oven. It looks like so much fun! All the favorite Pizza Toppings skewered on a Kabob and wrapped in pizza dough. Served with homemade pizza sauce. Unroll pizza dough on a lightly floured surface. Using a pizza cutter, cut strips of pizza dough lengthwise, about 1 inch wide. Starting at the tip (pointed edge) pierce dough and spiral wrap dough around the skewer, allowing the veggies and meats to peek through. Wrap the end of the dough around the other end to fasten. Repeat for all 10 skewers. Place pizza skewers on a pizza stone (we have a square one) or baking sheet and bake for 10-12 minutes until pizza dough is golden. Remove from oven and sprinkle with cheese while still hot. 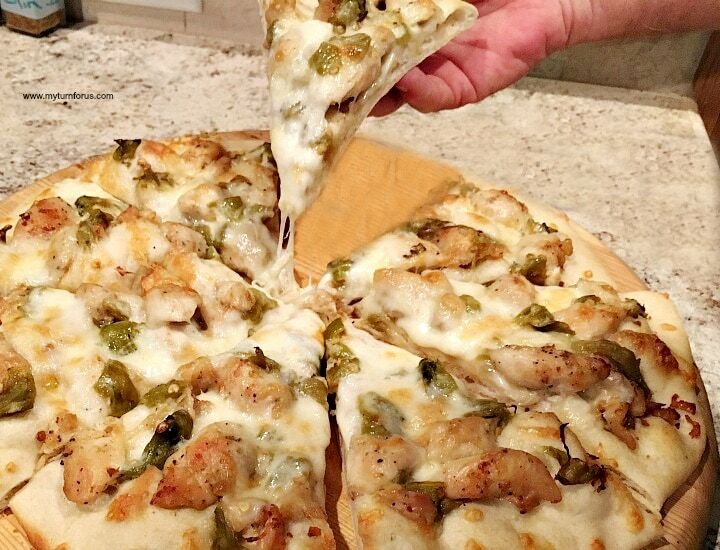 Serve with pizza sauce. This is genius, Evelyn ! Love, love it ! This is such a fun idea – I know my family would love this!